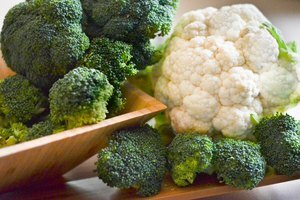 Blanching vegetables helps them maintain their crispness and color, improves flavor and reduces the chance of bacterial contamination. 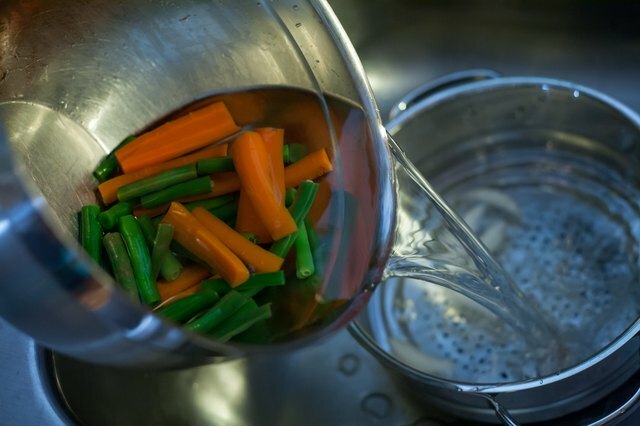 The basic technique involves briefly cooking vegetables in boiling salted water, then immediately plunging them into an ice water bath. 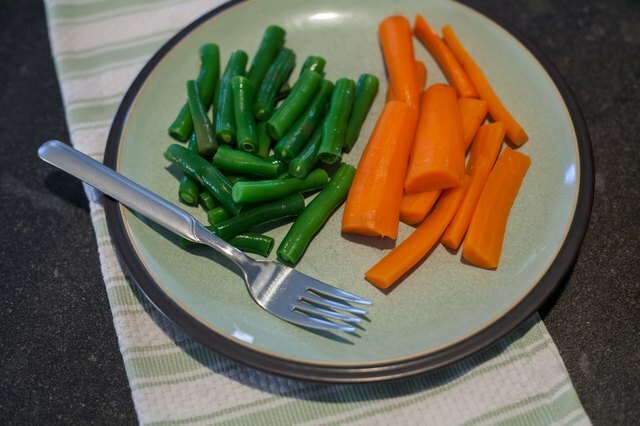 Chefs in restaurant kitchens blanch vegetables in advance to shorten their cooking time during busy dinner service, but you can also serve blanched vegetables without further cooking. Fill the pot about three-quarters full of water. Add approximately 1 teaspoon of salt for every 5 quarts of water. 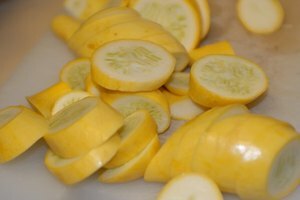 The salt facilitates a chemical change in the vegetables that maintains their color and keeps them from getting mushy. Bring the water to a rolling boil. Clean and trim the vegetables while the water is coming to a boil. 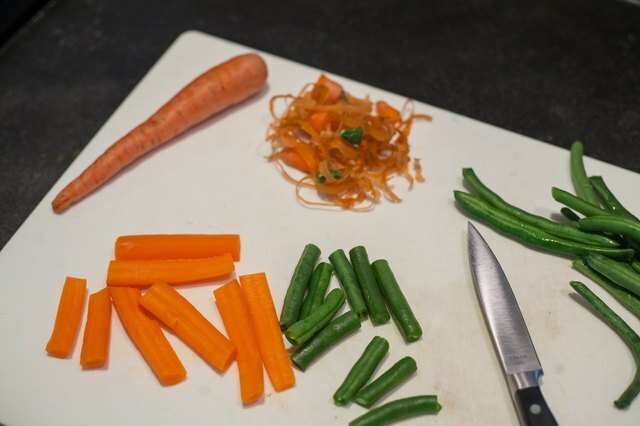 Cut larger vegetables into pieces of roughly equal size and shape. 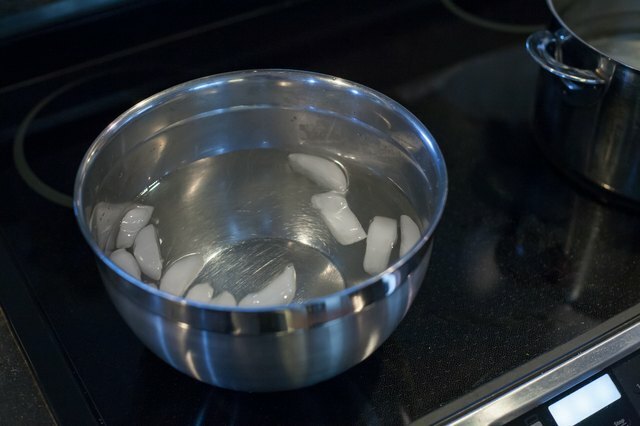 Fill a large bowl with water and ice cubes, then set it near your cooking area. 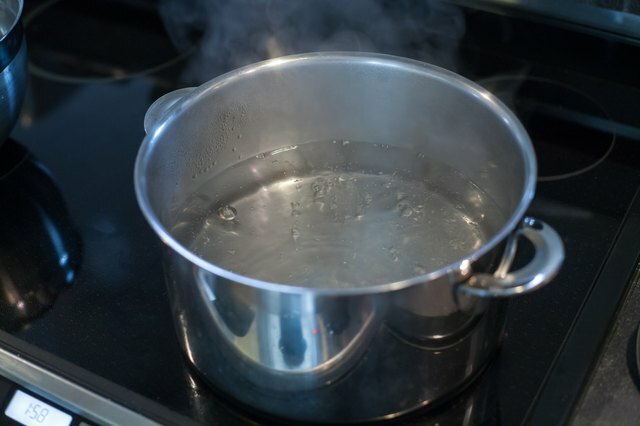 Add the vegetables to the boiling water a few at a time, keeping the water at a rolling boil. Let them cook for two to three minutes. 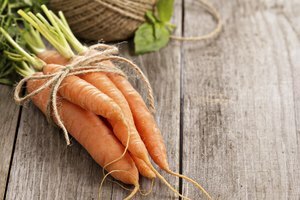 Cook starchy vegetables, such as potatoes, carrots or squash, a little longer. Test them for doneness by removing one piece, and pinching or biting it. It should be al dente -- crisp but not crunchy -- and heated through but not mushy. 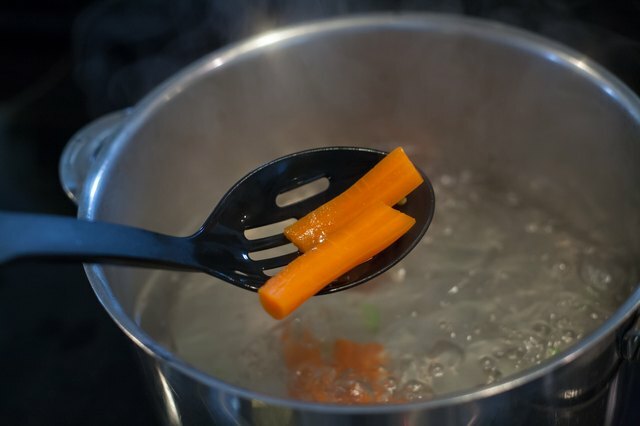 Use a slotted spoon or strainer to remove the vegetables from the boiling water and immediately put them in the ice water. 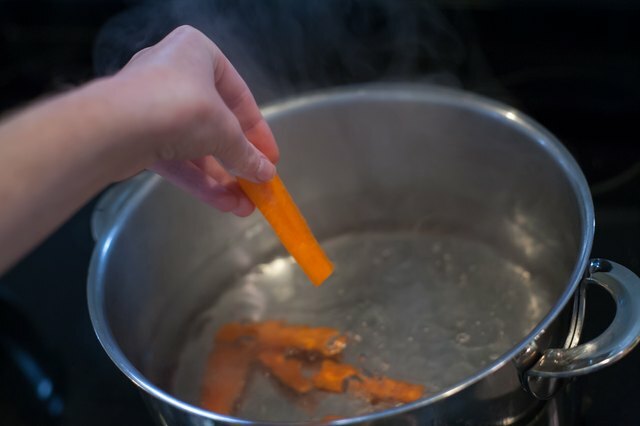 If you're blanching in small batches, add ice to the water if necessary to keep it cold. Drain the vegetables in a colander. If you're going to store them for later use, let them air dry for a few minutes before packing them into containers and covering them. 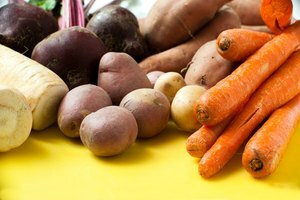 For freezing, pack the drained vegetables into containers or resealable freezer bags. A spaghetti pot with a strainer insert makes transferring and draining the blanched vegetables quicker, safer and easier.